Among other enzymes, cabbage etc. contain myrosinase enzymes and glucosinolates. These enzymes peak when paired; the simplest way to combine them is to chop the leaves and let them stand for 5 – 10 minutes before cooking. The exposure to open air will begin to convert the enzymes into compounds called isothiocyanates (ITCs), which reduce cellular inflammation and help prevent cancer. The cruciferous family is at its best when lightly steamed, but boiling makes a decent alternative. The heat completes the chemical conversation initially activated by exposure to air and lets the ITCs bloom. Remember to let the chopped leaves stand for 5 – 10 minutes before cooking. If boiling, bring the water to a rolling boil before adding the veggies. Make sure not to overcook: the leaves should wilt but still retain their brightness. Anything more than 2 – 4 minutes for kale and 2 – 3 minutes for cabbage is too much. 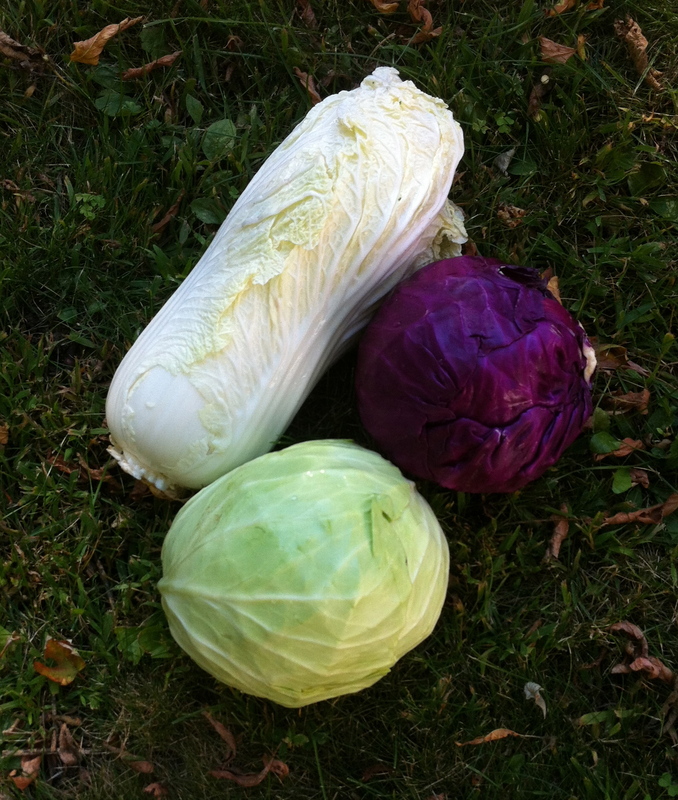 If you experience low iodine levels, do not consume large amounts of raw cruciferous vegetables. They can interfere with thyroid function. Several servings per week of these veggies should be fine for the average person, however. Garlic is a classic companion to cabbage, kale, and broccoli. Chop, slice or crush and let stand for 5 – 10 minutes before cooking, during which time a protein called allin and an enzyme called alliinase (very heat senstive) can combine to make allicin. Allicin is an anti-inflammatory agent that reaches maximum levels after 10 minutes, and then wanes quickly, so don’t let it sit on your cutting board indefinitely. Don’t over cook garlic. Either add it in the last couple minutes of cooking, or use it raw. Allicin is known to have lipid-lowering, anti-blood coagulation, anti-hypertension, anti-cancer, anti-oxidant and anti-microbial effects. This entry was posted in Healthful Eating and tagged Tips. Bookmark the permalink. Both comments and trackbacks are currently closed.